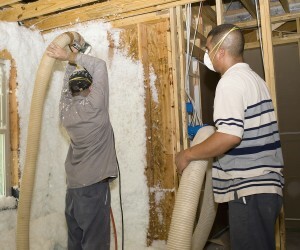 If you’re considering foam insulation installed in your Columbus, OH, home, you are in good company. Homeowners all over the United States have been turning to this extraordinary insulating material to give their homes added protection from the elements, and have enjoyed numerous benefits as a result. When you contact the home insulation experts at 31-W Insulation, you can join the ranks of homeowners who are experiencing money savings and health benefits from their insulation purchases. When spray foam insulation seals the fissures in your home, harmful pollutants and allergens are prevented from entering, which can improve the quality of the air you breathe. Spray insulation forms a solid barrier and reduces the amount of noise that can penetrate the walls and disturb your peaceful environment. Polyurethane foam is an inorganic, waterproof material that will not support the growth of mold and mildew, so you never have to worry about mold growing in your insulation. Foam insulation offers a plethora of benefits, but it is imperative that it is installed correctly in order to avoid serious problems. Incorrect installation can lead to structural damage, insufficient protection, and health hazards. When you choose 31-W to install your insulation, you can be sure that it will be installed safely and efficiently, because all of our installers are highly trained and certified, so you can be sure that your insulation project will be completed to your satisfaction. For more information about the benefits of foam insulation installed in your Greenville, South Carolina home, contact 31-W today.